Many thousands of children will be reported missing in this country this year. You will see their pictures on shopping bags, milk cartons, bus and subway posters, billboards, television and elsewhere. Some children will be found and returned home. Most will not. We are working toward increasing those odds of a safe return home. Keep your child in sight at all times; when your child is away from you, know whom he or she is with and where. Teach your child not to wander off and to avoid lonely places. Establish strict procedures for picking your child up at school, at a friend’s, after a movie, etc. Don’t let your child accept rides from any one with whom you haven’t make previous arrangements-even if they say they’re a policeman, teacher or friend of the family. Teach your child never to go anywhere with anyone who doesn’t know a family “code” word. Teach your child his/her full name, address and telephone number. Make sure you teach him how to make local and long distance phone calls. Even a small child can be taught to dial “911” for help. Tell your child about the abduction problem in a calm and simple way-as if you were teaching any other important coping skill. Listen attentively when your child talks about “a man or woman” he or she met in your absence. Teach your child that it’s OK to run away or to scream if someone is making him or her do something he doesn’t want to do. Have photos taken four times a year (especially for preschoolers); make note of birthmarks and other distinguishing feature. 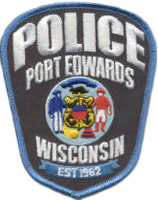 In collaboration with our local police department Port Edwards Schools has a program called, “Safe Homes.” This program will be in conjunction with “Amber Alert.” The “Safe Homes Symbol” will be displayed on neighborhood windows and mailboxes. This symbol lets our children know that this is a designated “Safe Home.” A “Safe Home” is a place where children may go if they feel threatened in any way. It may also be a home where a child may seek adult assistance. Our targeted areas will be streets that are most traveled by children walking, riding bikes, to school, going to the YMCA and the swimming pool. This program does not stop with the end of a school year. “Safe Homes” will be available to our children year round. Here is the Application for the Safe Homes program. law enforcement confirm the child has been abducted. law enforcement believe the circumstances surrounding the abduction indicate the child is in danger of bodily harm or death. Once established, the information is formulated for public distribution. This information can include the child’s photo and physical description, the suspected abductor, a suspected vehicle, along with any other information pertinent to the incident. The information is faxed to local radio station designated as primary stations under the Emergency Alert Systems or EAS. The primary stations in turn send the same information to area radio, television and cable systems, via the EAS, which is immediately broadcast by participating stations. Radio stations interrupt programming to announce the alert, with television stations running a “crawl” message and photo attached, on screen. This networking process allows for the dissemination of information relevant to the abduction. As for the success rate with the Amber Alert, to date 36 children have been recovered and safely returned home by the implementation of this program. If you have any questions, comments or are interested in offering your home to a child as a “Safe Home,” please feel free to contact Tina Melvin, Elementary School Admin. 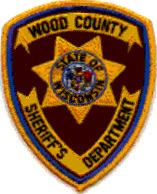 Assistant, at 887-9070 or Officer Lonn Radtke, School Resource Officer at 887-3030.